Champaign-Urbana knows how to do Veterans Day. Veterans all around Central Illinois will be recognized in ceremonies and parades. But this year is a bit different because Veterans Day falls on a Sunday. And that means it is “observed” on Monday, creating a few wrinkles regarding our regular routine. 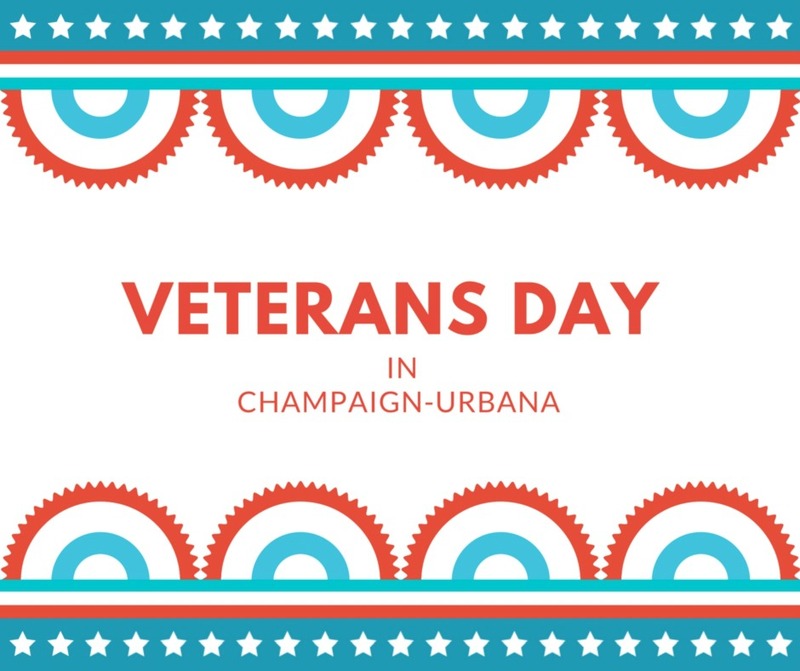 OPEN: Including Champaign Unit 4, which usually gives students the day off when Veterans Day has falls on a weekday. Government offices: Federal, state, and county administrative offices are closed. City of Urbana as well as City of Champaign offices are closed. Banks: Some are open; be sure to call ahead. Libraries: OPEN: Champaign Public Library, Tolono Public Library, Mahomet Public Library, Urbana Free Library, Rantoul Public Library. When in doubt, call. Museums: If they operate Mondays with regular hours, they are open. Parking: Champaign, Urbana and University of Illinois parking meters should still be paid. If you are looking for things to do on Veterans Day with your family, check out our events calendar, sponsored by Busey!